In a previous post, I shared eight things a successful educator should never say. Admittedly, that is a negative way to think about the impact of words on teaching and learning. Why not consider what we should be saying more, I thought? So here goes. 1. "I believe in you." One of the most powerful things you can communicate is your belief and confidence in your students, and your colleagues for that matter. 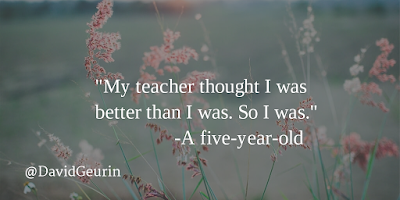 Sadly, too many students (and adults) struggle to believe in their own worth and ability. Above any curriculum outcome, we should strive to show our students their own worth and genius. Say to your students, "I believe in you. You are capable. You are important." 2. "I won't give up on you." When things are really tough, we all need someone to pick us up and be there for us. You can be that person for your students. Every kid needs an adult to fill the gap, a person who is older and wiser, someone they can borrow strength from until they have more of their own. 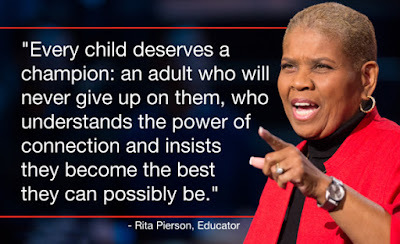 You can be that person when you tell your students, "I won't give up on you." 3. "I'm here to help." I strongly believe leaders are servants too. It doesn't matter what your position is in your school, if you have a desire to help others succeed, you can have great influence and make a huge impact. Clearly, you should stand ready to help each student in your classroom. But the most successful educators are ready to help every student in the building. And they use their influence to make the entire school a better place. Anyone feel pressed for time? Yes! We all do, and that's what makes this phrase so important. There are so many demands on our time we become conditioned to protect against anything taking an extra minute. Principals, protect your teachers' time. They need some margin so they feel like they can help each other or their students or a community cause. You can show what you value when you say, "I have time." Help your students develop a growth mindset by using these two words. When a students says, "I can't" show them how everything changes when you think "I can't, yet." Instead of putting a grade on that paper filled with mistakes, simply write "not yet" and have your students keep working and revising. 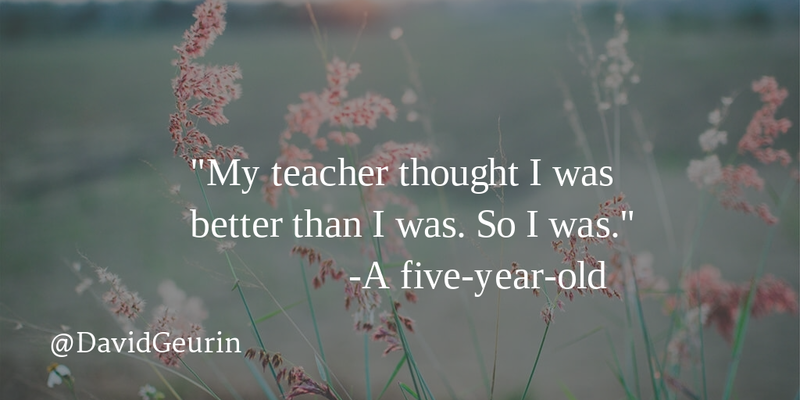 Remind your students that the expert in anything was once a beginner. Even Luke Skywalker struggled to become a Jedi. He had the force within him, just like our students have it in themselves to succeed. When teachers, and parents, and students, community leaders work together it is powerful. No one ever accomplished anything completely on their own. Someone else always invested, even when it's not evident. When we build partnerships, everyone benefits. When teachers learn together, it has the power to improve teaching and as a result, improve student learning. Two simple little words. Say them over and again. Be grateful. Our schools will be a better place. Our world will be a better place. Show them you are listening. Lean in. You can learn so much. Students have so much to say, so much to share, and they are waiting for someone to truly listen. Seek to understand and not just to reply. Say "I'm listening. Go on." Ask questions. Show the patience and the empathy you know they need. We need more innovative thinking in classrooms and schools. 'What if' is the language of the dreamers and the disrupters. We don't have to do it the way it's always been done. What if we tried something different? 10. "What is best for kids?" 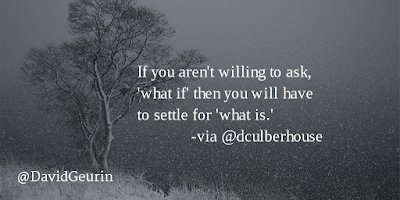 As we make tough decisions, we should always be asking this question. Schools exist to serve students and should do their best to always put the best of interest of students first. It's a simple question, but we need to hear it more. It's too easy for other things to distract us from the most important thing in our schools, serving our students best. 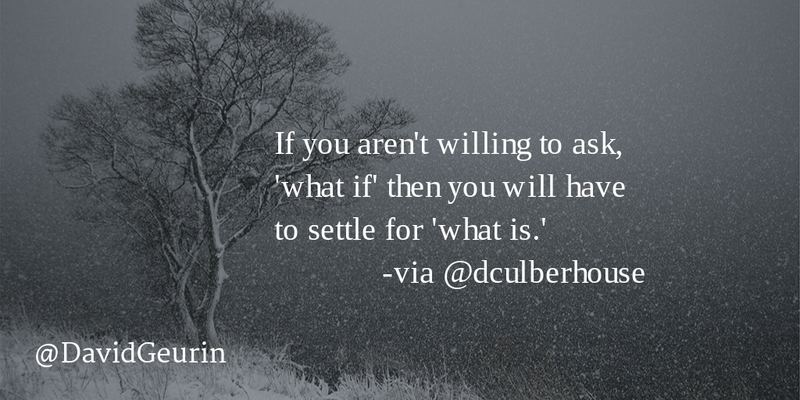 Question: What else should educators be saying more often? Leave a comment or share on Twitter and Facebook.